BMXing is back with a vengeance. At the beginning of the 90s, skateboarding really took off and rather took over from the good old fashioned BMX. But thanks to a few old faithfuls the sport didn’t die completely and the sport has got its mojo back over the last few years. When starting out in the sport of BMXing, you need a good, solid entry-level bike. The quite frankly legendary Diamondback Viper BMX bike is where it’s at for beginners. The bike has everything you need at an affordable price and is as pure as a BMX gets. The handlebars are made up of Hi-Ten steel two-piece, 25 inches by 6.75 inches. With a high tech steel frame and fork, 36-spoke aluminum wheels and DB BMX padded seat, the Diamondback Viper BMX bike is a full on racing bike at an entry level price. Combining simplicity and value in bikes like these is what gets people into the sport, so long may it continue we say. Easy to put together, compact, lightweight and sturdy, the Diamondback Viper BMX bike is perfect and leads the pack of high street brands. The only problem is if you buy this bike for your kid, chances are you won’t be seeing a great deal of them over the coming weeks. While this is a great bike for beginners as we’ve said, it also receives warm reviews from more advanced riders who have thrown it around their local parks. However, if you’re after a bike that’s comfortable with advanced trickery, it’s probably best to go for higher end bikes. The Diamondback Viper BMX bike is great for having fun with, but the alignment of the handlebars is a little too loose for any impressive tricks. You might find that putting the brake assembly unit together is a little bit tricky but other than that, the bike is relatively easy to put together (though you will need the instructions!). The bike has excellent brakes for one of its level. If you have a little one who’s after a bit of exercise and fun, BMXing is probably the sport for them. The Diamondback Viper BMX bike is a small investment for a big return – they’ll have so much fun and get out and about in the process. Amazon are currently selling this bike for $179.99 – a bargain if you ask us… and you never know you may have a BMX champ on your hands! Have fun! 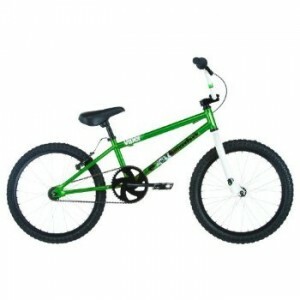 This entry was posted in Bikes, BMX, Diamondback, Reviews and tagged BMX, BMX Bike, Diamondback, Viper. Bookmark the permalink.